Billings Montana has long been identified as “the star of the Big Sky Country,” and is certainly that. Billings, while it keeps its small town friendliness, has many modern amenities! Wearing a great historical past including Lewis and Clark, Liver-eatin’ Johnson, Calamity Jane—we also have Montana’s tallest building, great sporting events, a bit of culture, and shopping. If you like western history, forts, cowboys n’ Indians, we have it all in our surrounding areas! Our six surrounding mountain ranges are chock full of great places for horseback riding, hiking, fly fishing, hunting, snowmobiling and 4X4ing. If you like fly fishing, you’ll love the Montana mountain streams and nearby lakes offer other fishing experiences. Take a look at TripBuzz for more things to do in billings Montana. Our Billings Montana accommodations is Located in South-central Montana, on I-90, 2 hours north of Sheridan, WY on I-25 and 1-90. Canada is to our north, Bozeman is less than 2 hours to our West, the great Montana prairie and Fort Peck Dam open to our East. 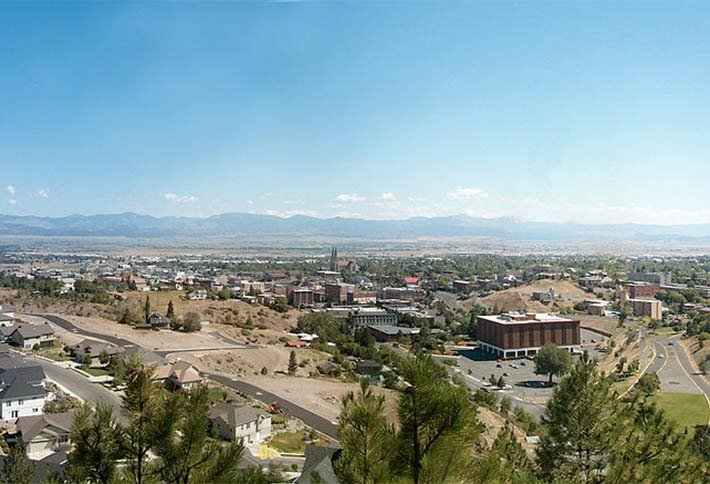 Billings is the largest city in the state of Montana, it is located in the south-central portion of the state and is the county seat of Yellowstone County, which had a 2012 population of 151,882. About five miles south of downtown are the Pictograph Caves. These caves contain over 100 pictographs (rock paintings), the oldest of which is over 2000 years old. Approximately 30,000 artifacts (including stone tools and weapons) have been excavated from the site. Located in this beautiful park there is plenty of natural areas with a trail system running through the park. Lake Josephine is also located here. Around the lake there are three park shelters available to rent for your outing. Custer National Forest is located primarily in the southern part of the U.S. state of Montana but also has separate sections in northwestern South Dakota. The western sections have a mixture of pine, spruce and fir trees due to the increased altitude and more abundant rainfall. The grizzly bear, black bear, bighorn sheep, mountain goat, and bison are all found in the western sections. 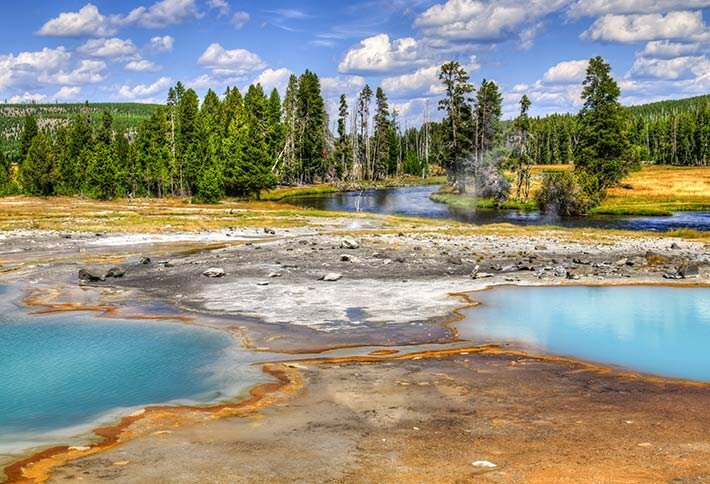 With its snow-covered mountain peaks and internationally known "blue ribbon" trout streams, the Gallatin National Forest is a popular recreation area in Montana's Northern Rockies. Founded in 1899, Gallatin National Forest is located in south central Montana, United States. The forest comprises 1,819,515 acres (7,363.32 km2) and has portions of both the Absaroka-Beartooth and Lee Metcalf Wilderness areas within its boundaries. While the lower elevations are often covered in grasses and sagebrush, higher altitudes support Douglas fir, with several species of spruce, cottonwood and aspen being the dominant tree species. Located in central and north central Montana, the Lewis and Clark National Forest is one of ten forests in the Northern Region. Spanning 2,800 square miles (7,300 km2), the forest is managed as two separate zones. The eastern sections, under the Jefferson Division, is a mixture of grass and shrublands dotted with "island" pockets of forested areas. Here, cattle leases to local ranchers as well as timber harvesting are the norm. The western Rocky Mountain Division which straddles the Continental divide, is more oriented more towards preservation, primarily because much of the land has been designated as wilderness. 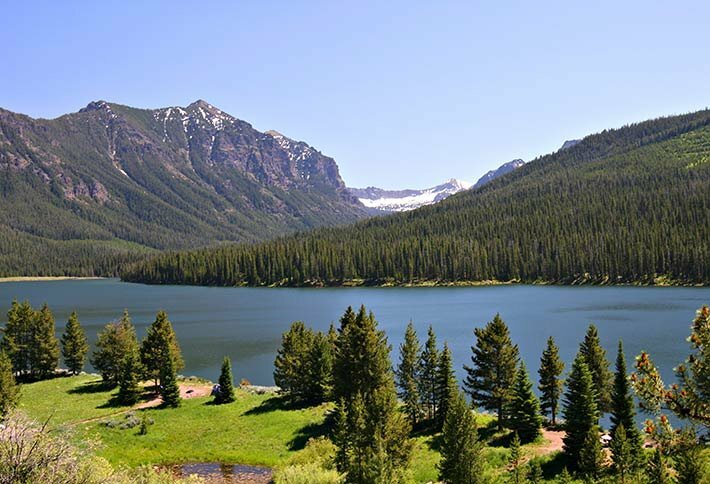 Located in west-central Montana, the Helena National Forest surrounds Montana’s Capital City and offers close to one million acres of distinctive landscapes. 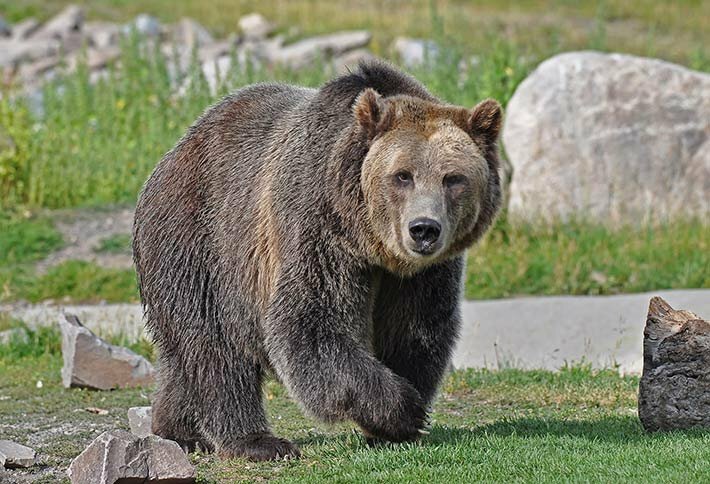 The grizzly bear has a sizable sustained population in the northwestern section of the forest, especially in the Scapegoat Wilderness. Black bears are numerous as are elk, moose, mule deer, and antelope. There are also small populations of bighorn sheep and mountain goats. Along streams and lakes, sightings of nesting bald eagles and other birds of prey are becoming more common due to protection of these species and their vitally important waterways. The Upper Missouri River Breaks National Monument is a national monument protecting the Missouri Breaks of central Montana, United States, and is managed by the Bureau of Land Management. Called "The Breaks" by locals, it is a series of badland areas characterized by rock outcroppings, steep bluffs and grassy plains. 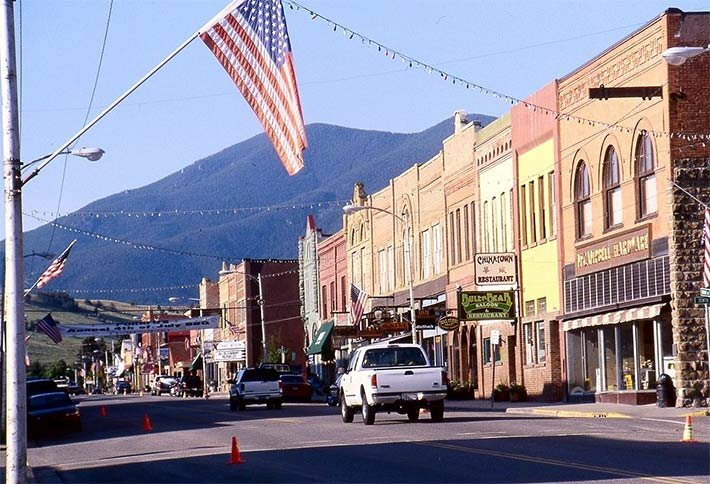 Bozeman is a city in and the county seat of Gallatin County, Montana, United States, in the southwestern part of the state. 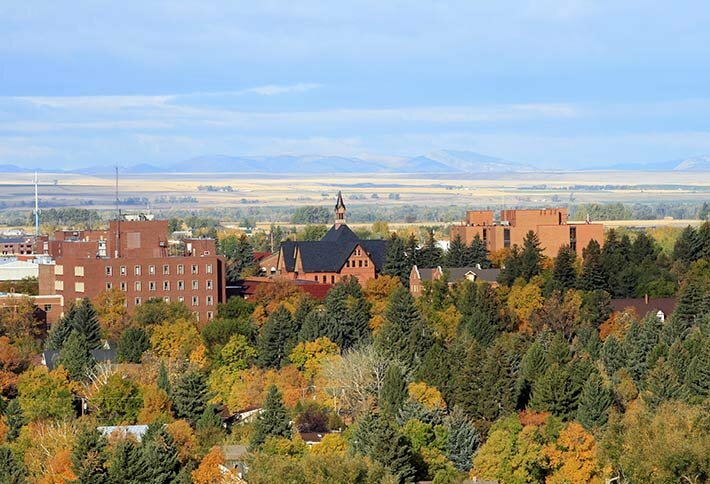 Bozeman is a college town, home to Montana State University. The local newspaper is the Bozeman Daily Chronicle, and the city is served by Bozeman Yellowstone International Airport. Red Lodge is a city in and the county seat of Carbon County, Montana, United States. It is part of the Billings Metropolitan Statistical Area. Nestled against Montana’s highest mountain peaks, Red Lodge is a place of extraordinary beauty and, wherever you turn, real smiles, genuine warmth and a welcoming, Western-style hospitality. Helena is the capital city of the U.S. state of Montana and the county seat of Lewis and Clark County. In 2013, Helena was named the best in America for geocaching by Best of the Road. 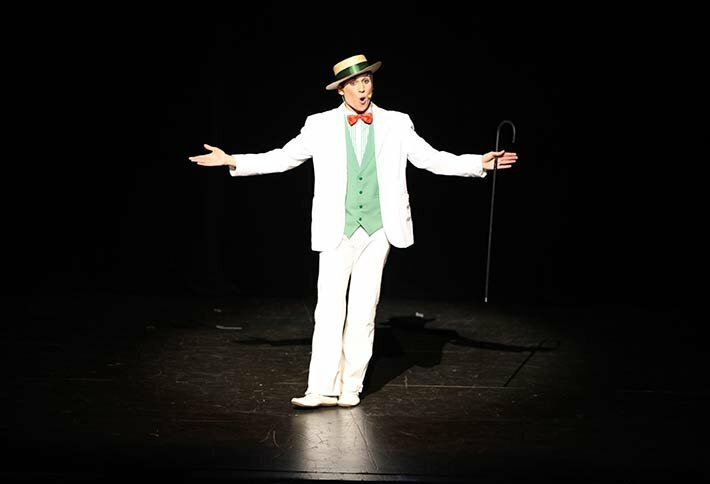 The Alberta Bair Theater is the largest fully equipped performing arts theater in Montana, designed to meet the needs of both local performing groups and professional touring companies. The Alberta Bair Theater’s main lobby is designed from a sculptural approach with the major features being shape, space and light. The large concession area allows for smoothly run intermissions and receptions. The Garage at Yellowstone Valley Brewing Co.
"The Garage" at Yellowstone Valley Brewing Company features a variety of tasty craft microbrews. 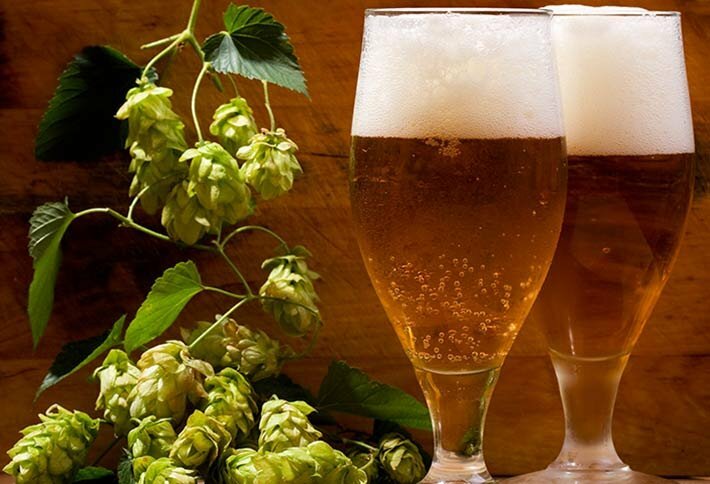 Award-winning brews including Black Widow Oatmeal Stout, Wild Fly Ale, Numbskull IPA, Buffalo Bill Cody Rye Beer, Grizzly Wulff Wheat, Renegade Red, Huckleweizen, and a hearty Wooley Bugger (Grand Cru) Root Beer. Next door's Spirit of Montana Distilling with Cliffhanger Vodka and our unfiltered 40 Love Gin! Live original music every Saturday, sometimes Wednesday, and Open-Mic Tuesdays. Hand-crafted in Billings: Trailhead Spirits is now open in the historic Burlington Northern depot downtown on Montana Avenue for tours, tasting, cocktails, and purchase. Steffanie and Casey McGowan welcome you to visit, try their Great North Vodka and Healy’s Gin, and check out the stylish swag. Trailhead Spirits is a craft distillery located in the heart of Billings’ historic downtown district in the Depot Complex at 2314 Montana Ave. Inspired to live and support local; Trailhead Spirits are creating one of a kind spirits that reflect the soul of the community. Billings Studio Theatre is a studio theatre and not-for-profit community theatre company located at 1500 Rimrock Road in Billings, Montana. For over 60 years friends and strangers have gathered through Billings Studio Theatre to research, read, rehearse, build, sew, promote, produce and perform in productions that have so touched the souls of our patrons that they have returned year after year to see what is next in our ever growing slate of memorable performances. Q's Art Shop's main goal is to bring art in its finest form to the Billings community by encouraging artists young and mature in developing skills that fully utilize their potential. They are dedicated to helping customers present their art sucessfully through custom framing. They use the minimalist approach to framing and believe that framing completes the art and that the goal of framing should be to enhance the art and not detract from or overpower. Yellowstone Cellars and Winery provides wines crafted from premium hand-picked red and white grapes harvested from small family vineyards located in the Columbia Valley of Washington. The viticulture areas include Rattlesnake Hills and Yakima Valley. In 2013 they harvested 48,000 lbs. of grapes from Elephant Mountain & Sugarloaf Vineyards, Yakima; Crawford Farms and Lonesome Spring Ranch, Prosser. Working closely with the vineyard owners, they monitor all stages of growth and assist in the agronomic decisions leading to harvest. Two experiences under one roof. Here you can shop and splurge at our unique clothing boutique in the front of the space, or you can craft, create and connect in the back space stocked with art supplies, sewing machines, and more. 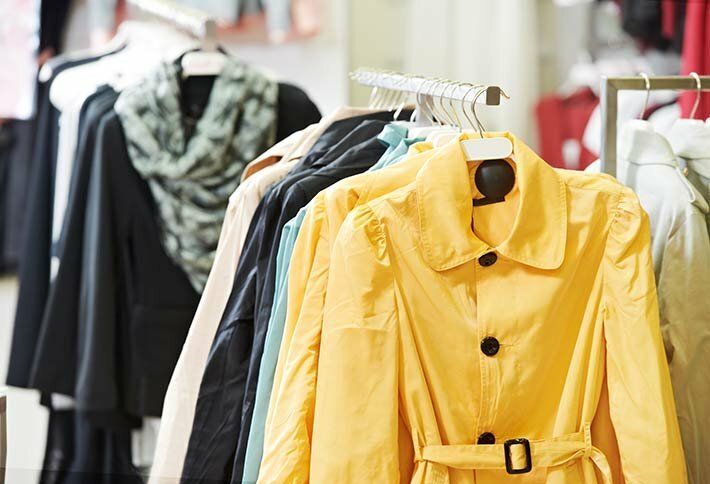 Visit us here at 1938 Grand Ave. in Billings, and you’ll be sure to leave with something you can’t wait to show off! Love what you make or buy what you love at Better Together.